Friedrich Nietzsche argued that the ‘will to power’ is the force that drives us as humans. He also said that ‘without music, life would be a mistake’. Despite finding most of his influence in philosophy and philology, Nietzsche also composed several works for voice, piano and violin. Surprised? Fear not: Nietzsche’s compositions might come as a revelation to even the most clued-up classical music geeks. Nietzsche’s involvement in music began in 1858 at the prestigious Pforta school in Naumburg, Germany, when he started to work on musical compositions. He was also introduced to the music and writing of Richard Wagner, who introduced the philosopher to the Hungarian composer Franz Liszt after they met in 1868. 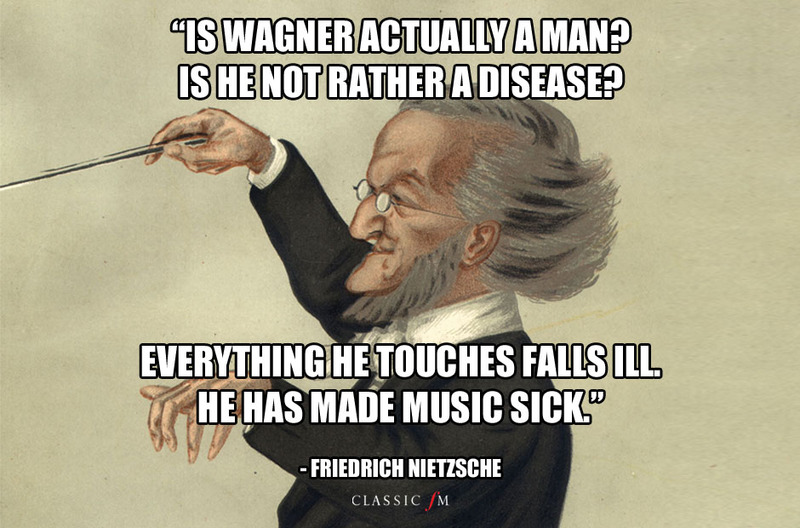 Surrounded by great 19th century composers, it was easy to see how Nietzsche’s love for music could be nurtured. Possibly not the *most* encouraging feedback for poor Friedrich. Although his compositions were not always positively received, Nietzsche’s influence on classical composition has been widely accredited. His philosophical novel Thus Spoke Zarathustra influenced several composers during the 1890s: Gustav Mahler’s Symphony No. 3 used the leitmotif from Zarathustra, and Frederick Delius based his choral piece A Mass of Life on the novel. Richard Strauss also based his Also sprach Zarathustra on Nietzsche's novel of the same name. What do you think of Friedrich Nietzsche’s compositions? Have a listen to a few more of them on Spotify and on the Cambridge Press website.